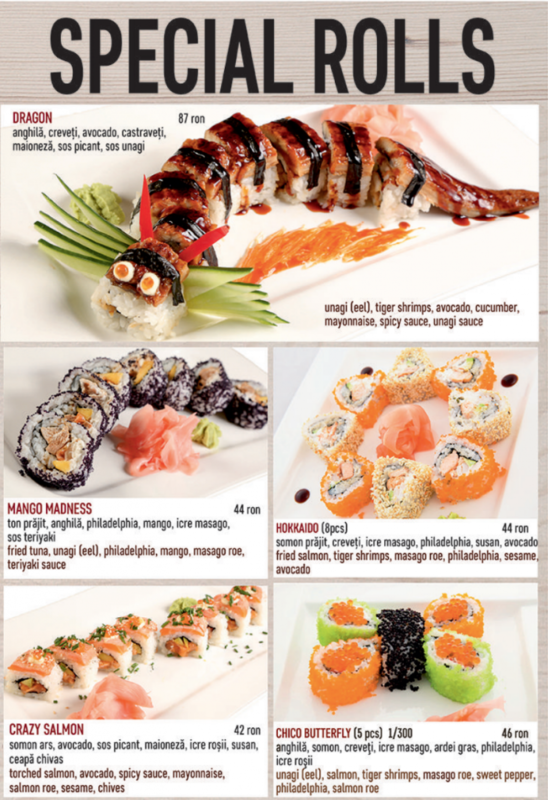 A new sushi restaurant called “Sushi Time” opened in February to much fanfare. 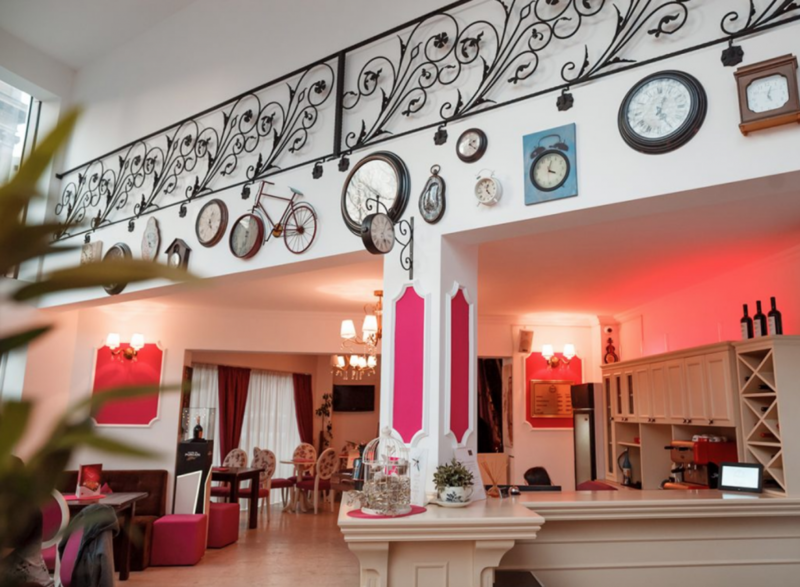 Owned by Dima Trofim, a famous Romanian singer, the restaurant quickly became popular. But is it worth the attention it’s getting? Honestly, not really. 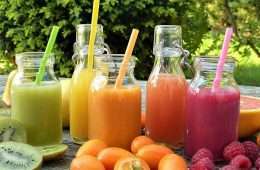 The restaurant ranks 4.6 out of 5.0 on Google reviews, with many comments complimenting their food, atmosphere, and friendly staff. The Bite decided to visit the place, full of anticipation – but were left with disappointment. 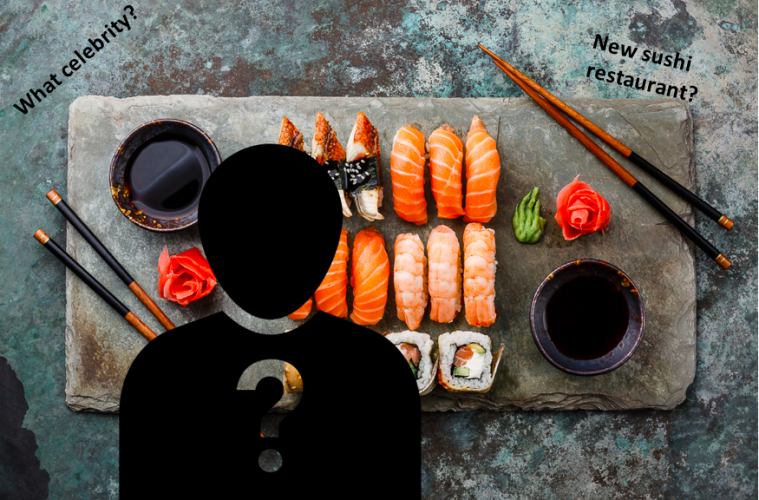 The interior was decorated with pink, white, and brown colors, unlike other sushi restaurants that are commonly darker in tone. There was pop music playing in the background. These features made the restaurant look more modern than authentic Japanese, except for the bamboo sticks aligned against the walls that added an Asian touch. The menu offered a wide variety of options, such as fish tartares, sushi platters, fish steaks, and even ice cream for dessert. 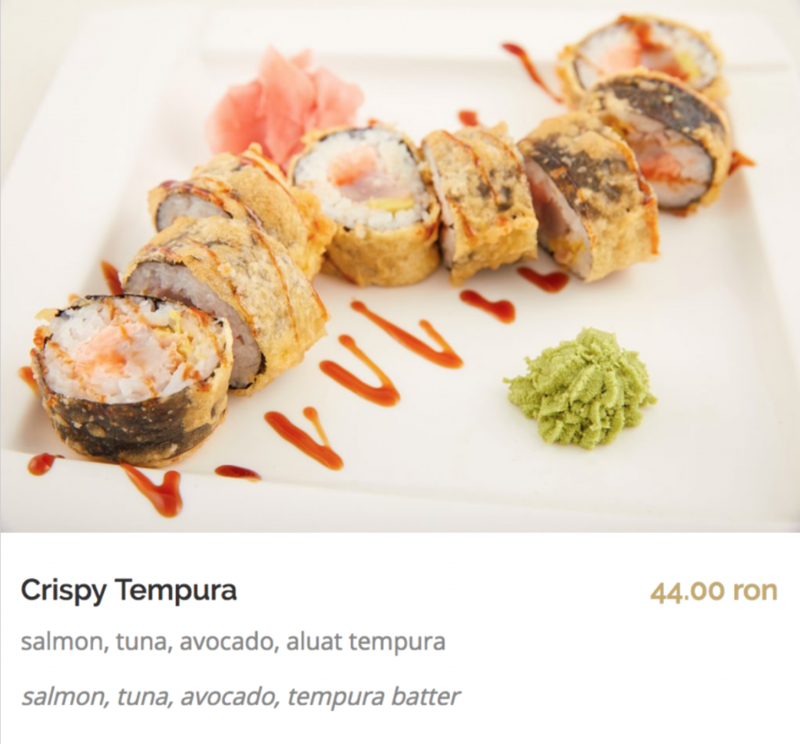 We could find many innovative menu items like the Dragon Sushi on the “Special Rolls” section, with unique presentations and combinations of ingredients. 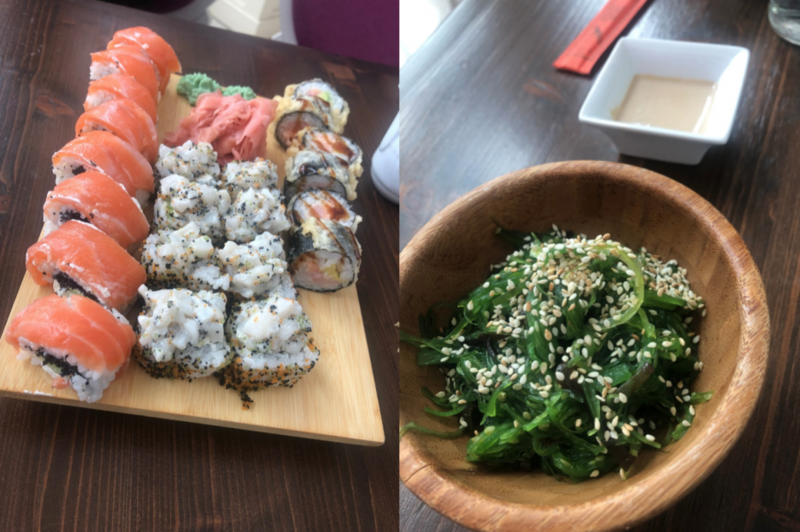 There were some vegetarian dishes like the veggie roll, miso soup, edamame, and seaweed salad, but still lacked options for the main course. The price for most rolls ranged around 30-40 lei, some costing more than others depending on the type of fish used. 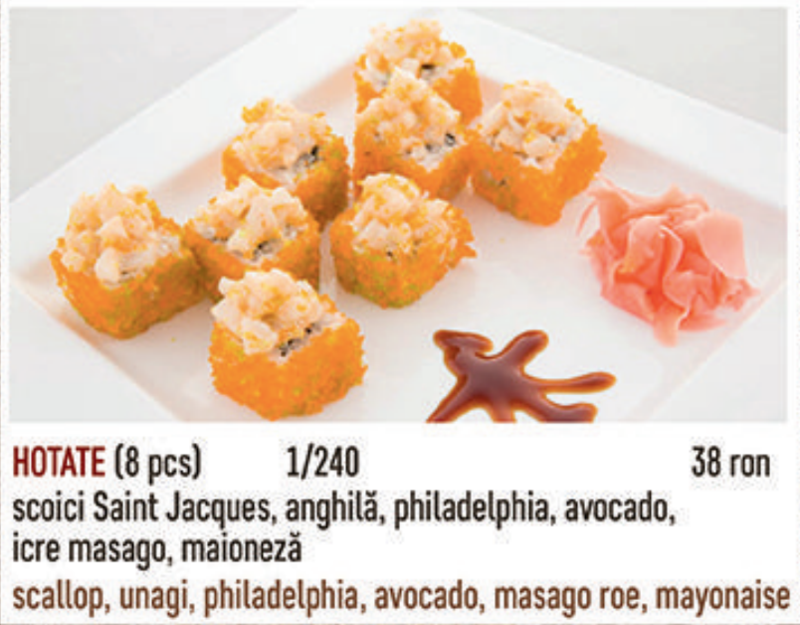 The Dragon Sushi, containing eel, costs 87 lei. The service was not great, as our waiter was not very attentive. He brought one bottle of water when we had asked for two, forgot to serve plates, and dropped two crispy tempura rolls on the table when arriving with the food. We were surprised when served with the Hotate Maki as it didn’t look like the picture on the menu at all. The roll was barely covered in orange masago (fish) roe, and smelled unpleasantly fishy. It also lacked the typical sticky texture of sushi rice. 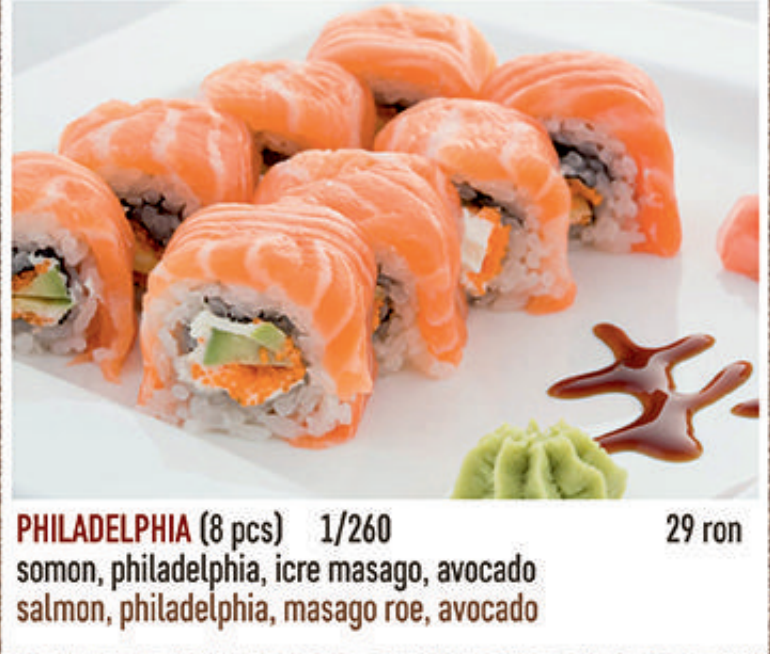 The Philadelphia Maki, more commonly known and a popular choice among many sushi lovers, tasted considerably better than the Hotate maki. The sweet, sticky rice balanced well with the savoury cream cheese and silky fish. The texture of the cream cheese could’ve been smoother, as it felt slightly chalky. Still, this dish would do just fine for those looking for comforting, familiar flavors. The Crispy Tempura Roll was an interesting dish to try, as the entire roll had been battered and fried. Although the tempura wasn’t evenly distributed, the combination of the crunchy exterior and soft rice created a unique texture. The salmon and tuna inside the roll were cooked, making it perfect for people who dislike raw fish. This was a simple seaweed salad with a light touch of sesame seeds. 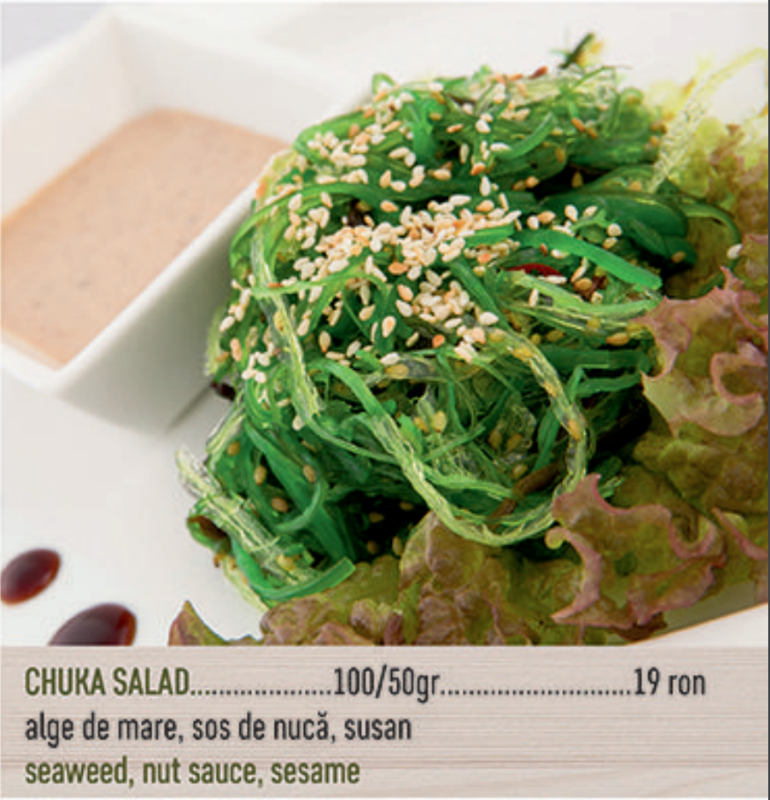 It came with a special nut sauce on the side, which overpowered the taste and texture of the seaweed. Without the sauce, the salad was slightly tangy, sweet, and chewy, an overall nice side dish to try with the sushi. Our experience wasn’t great because of poor service and some disappointing dishes. However, Sushi Time has only been open for a month, so we’ll give them the benefit of the doubt. Although it isn’t quite worth the hype right now, we hope any future dining experiences will be similar to the Google Reviews. Image Sources: avedarul.ro, timesushi.ro, and the author’s personal camera.